Australian, David Brodziak crafted this "Gold Nugget" Hunter. 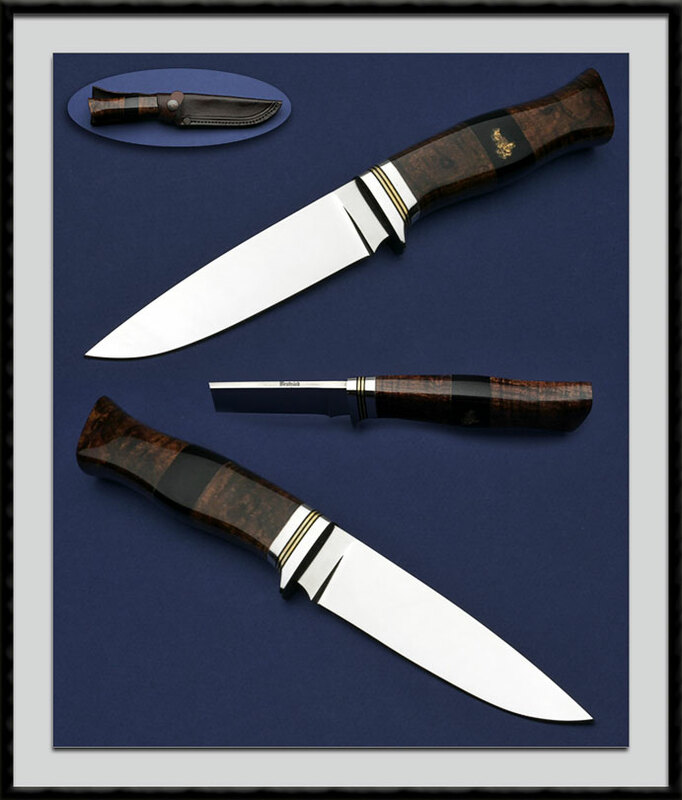 Flat ground 440C Blade steel, BL = 5”, OAL = 9 3/4", SS Stainless guard with Brass spacers, handle of Australian Burl wood finished with a 2 part polymer coating renowned for chip proof and heat resistant qualities. Handle is accented with a spacer made of Black wood - Gold Nugget - clear Poly Resin. Fit and finish are very good. Condition is mint. Coes with the sheath pictured.